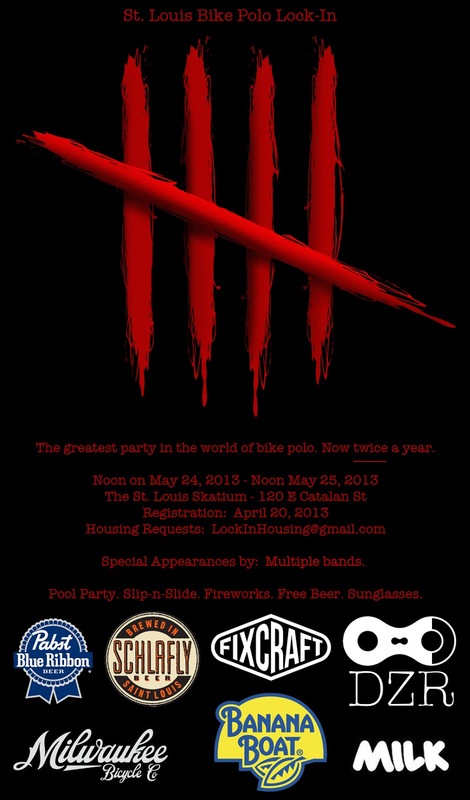 After four years of hosting the world's greatest 24-hour bike polo party in January, Saint Louis Bike Polo has decided to throw our grand party twice a year! Too much of a good think is never a bad thing, so come party with us for 24-hours on Memorial Day weekend! Registration starts at 4:20PM on 4/20/2013. There's a strict limit of 65 attendees (not including STL players). The first 65 people to send us their entrance fee after 4:20PM on 4/20 will be accepted into our weekend-long party.